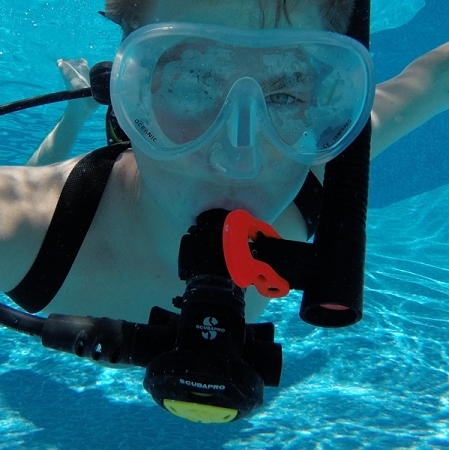 EasyDive’s Nomad includes a Spare Air attached to the Snorkelator, making it the most lightweight snorkel and regulator combination available. Together they offer an experience like no other, allowing divers to get in the water to snorkel & dive within seconds. 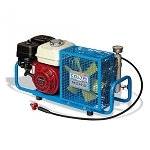 The Spare Air has a 1.7 cubic foot tank, or optional 3.0 cubic foot tank, with enough air to give you some bottom time when snorkeling. It's perfect when you need a little more time to get an awesome picture or check out the underside of your boat. 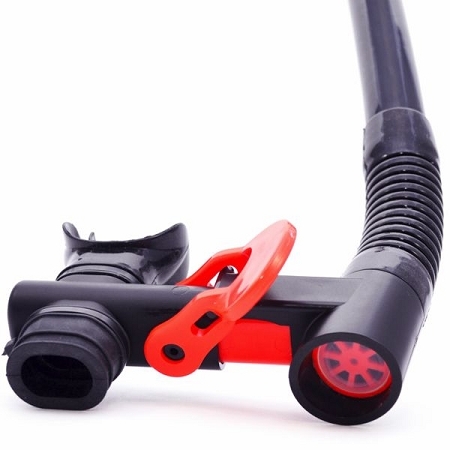 Quickly recharge the Spare Air from a full SCUBA tank with the included tank adapter and be back in the water in just one minute. 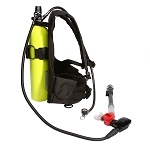 Snorkelator is a patented technology that offers divers the ability to combine their snorkel with any diving regulator – creating a truly unique experience. 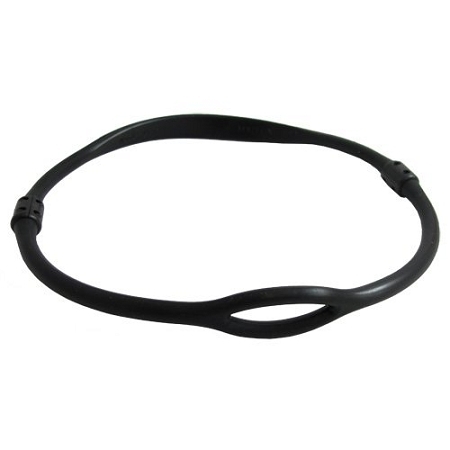 By simplifying your SCUBA equipment the Snorkelator will optimize the way you dive. Switching from your regulator to snorkel when surfacing is not only annoying, it can also be a safety hazard. The Snorkelator comes with a top-of-the-line dry snorkel already attached. 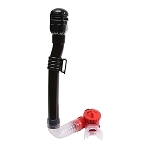 Simply attach to any SCUBA regulator with just a few simple steps and you are ready to go! Valve switches between Snorkel & Dive position.